From January 1, there has been a ban on recreational anglers keeping any bass they catch, while commercial boats have been set monthly limits, with no bass to be landed at all in February and March. From July 1, recreational anglers can keep one fish per day. 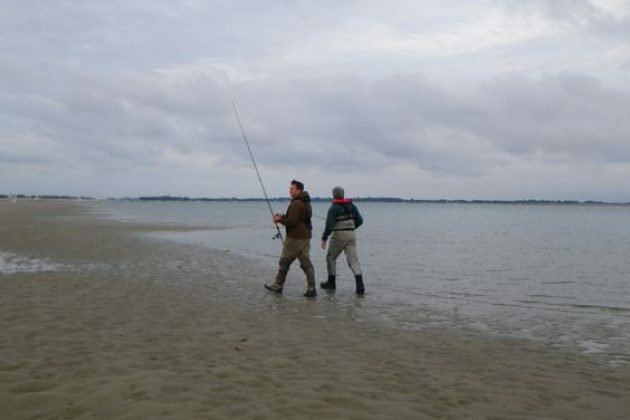 Chichester Harbour, which stretches from Hayling Island to West Wittering, is a key area where young bass develop. The measures have been introduced by the EU to restore bass stocks, following pressure from the UK government. Colin Cooter, based at Selsey and Itchenor, said: ‘You can’t blame the fishermen if the bass stocks have gone down, the authorities have allowed it to happen. Adam Shaw owns a fish shop, Something Fishy, in East Wittering, two charter boats and a commercial boat based at Chichester Marina. He welcomed the restrictions for conservation benefits, but felt the one-fish limit from July was ‘a little too restrictive’ and for commercial boats the higher size limit was bad news for his fish shop, with larger fish ‘in no man’s land’ – too big for two people to eat and too small for four.